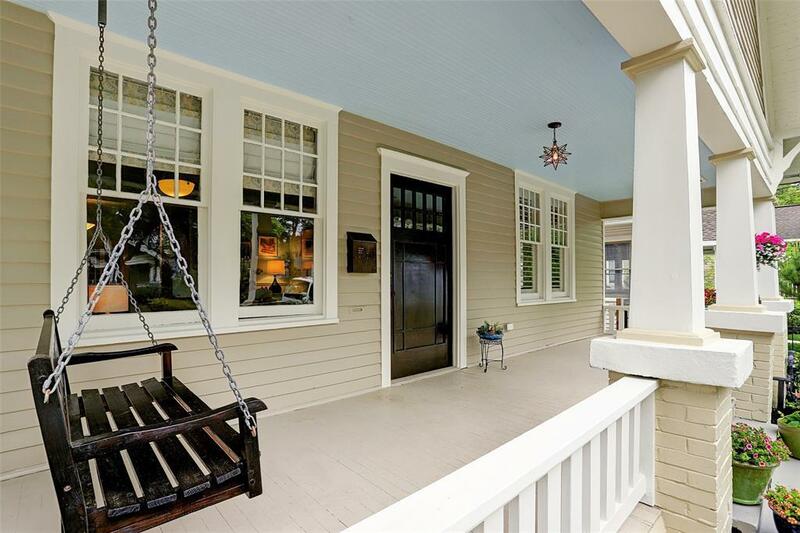 Enjoy Lights in the Heights from the spacious porch of this adorable and historic bungalow. 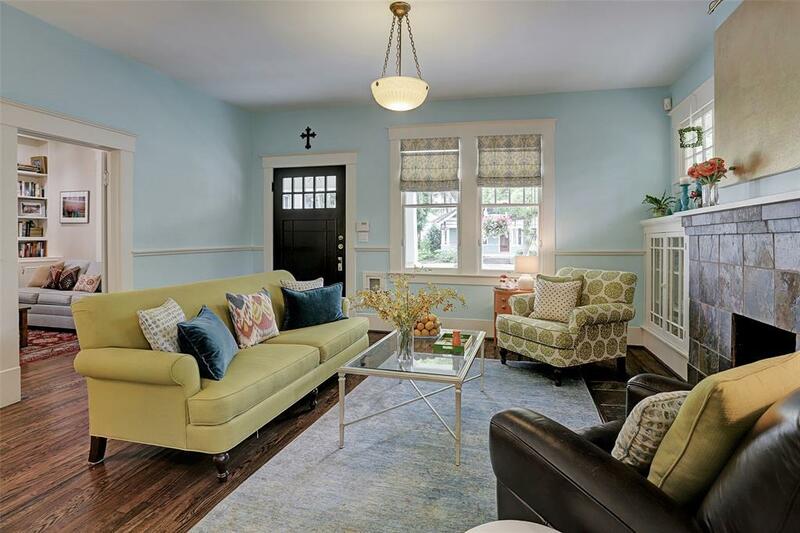 This quintessential 1930 Heights bungalow has been lovingly updated and is nestled in a quiet and open block of Euclid Street. The generously sized rooms are sun-filled and airy. Two bedrooms down with master and additional living area up. 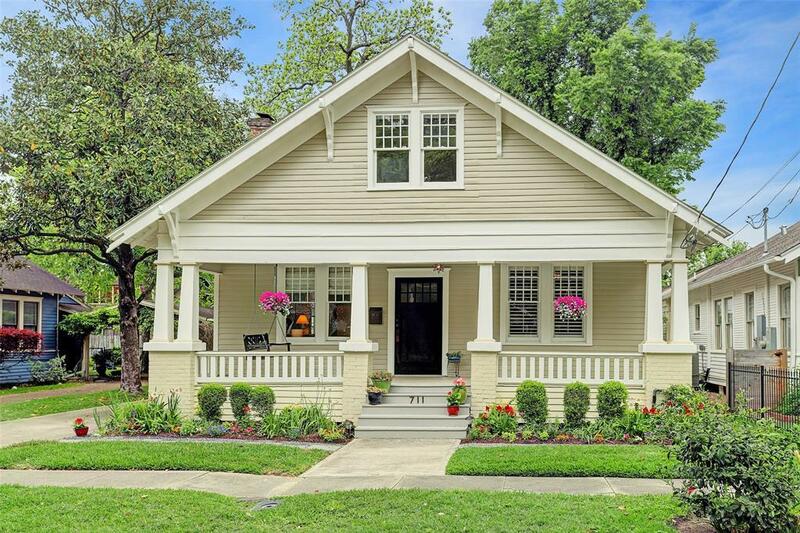 Updated features include built-ins, plumbing, and lustrous red oak floors. The backyards pergola is ideal for lazy afternoons and barbecues. 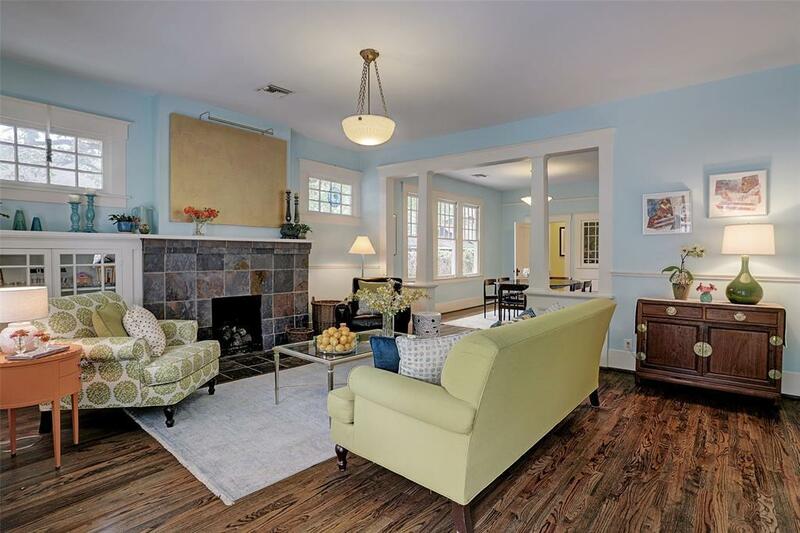 The prime location in the tree shaded neighborhood of Woodland Heights is ideal for a swift commute to Downtown or to slip onto I-10, and convenient to Travis Elementary or the White Oak restaurant scene.